There is something so very comforting about a Sausage Casserole. 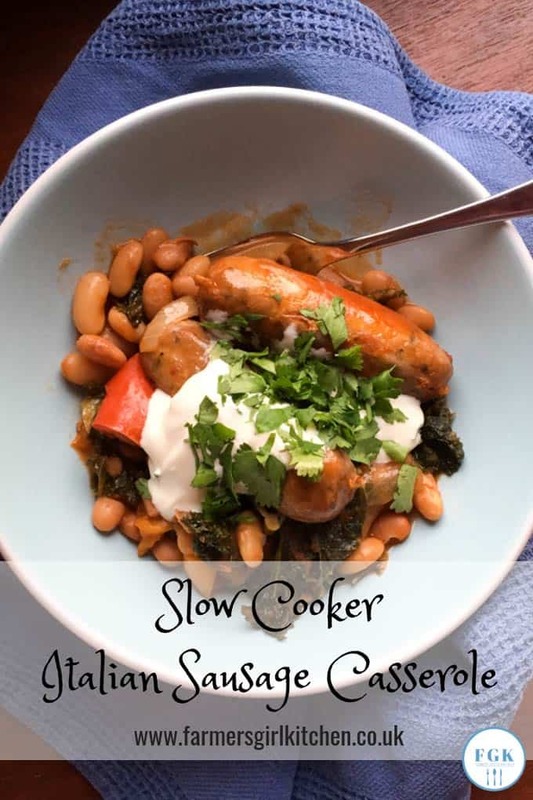 This Slow Cooker Italian Sausage Casserole is a warming bowl of spicy sausages and creamy beans which is even better when you put it all in the Slow Cooker in the morning and it’s ready for you to eat at supper time. You could make it without soured cream, but it really adds amazing richness to what would otherwise by a fairly ordinary plate of sausages and beans! 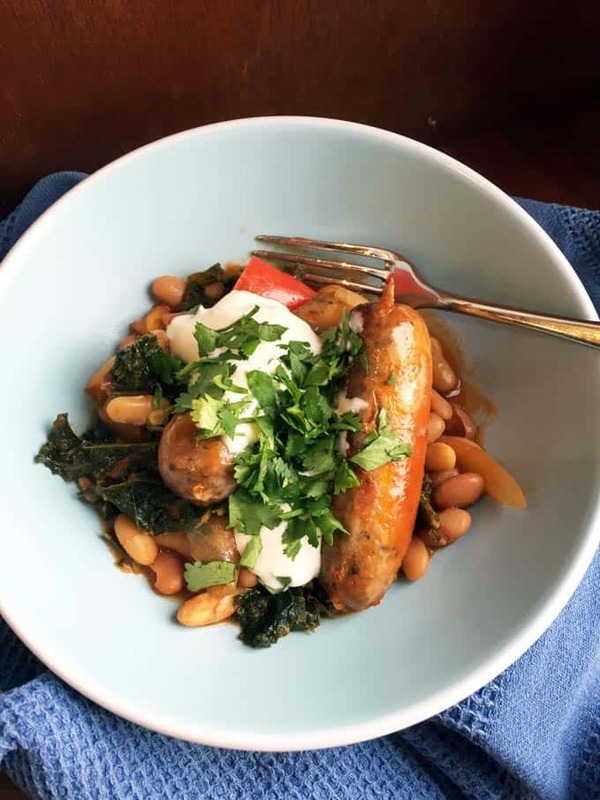 A comforting, slowly cooked dish of spicy Italian sausages, beans, peppers and kale with a creamy finish. Brown the sausages in a pan or in the oven, so the skins start to turn golden but remove before the sausages are cooked and put in a dish. Soften the onion and red pepper in the oils left from the sausages. Add the onions and pepper, tomatoes, stock and pimenton and mix through. Just before serving stir 100ml of soured cream through the beans. Serve each portion with a spoonful of soured cream and a sprinkling of fresh coriander. You could use pre-cooked beans or canned beans and reduce the cooking time by 2 hours and reduce the chicken stock to 200ml. 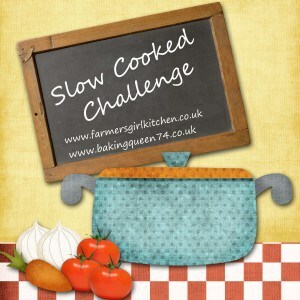 This Slow Cooker Italian Sausage Casserole is my entry for the Slow Cooked Challenge, the monthly Linky for all things cooked slowly that I share with Lucy at Baking Queen 74. Lucy is hosting this month, make sure you pop over to the Slow Cooked Challenge for October and you will find lots of lovely warming recipes. I’m also adding this recipe to Inheritance Recipes run by Coffee ‘n Vanilla and Pebble Soup this isn’t a recipe from my past, but I think it may be one to pass on to future generations, it is so simple and perfect comfort food, which is the theme October’s Inheritance Recipes Challenge. Sausage and bean casserole is always a favourite here too, using the Italian sausages sounds great to add extra flavour. I love the idea of stirring through the soured cream to get a creamy sauce and adding some on serving, I will certainly be trying your recipe soon! Thanks Lucy, yes I think we all have a favourite sausage and bean recipe for the slow cooker, it works so well. oh yes! Sausage and bean casserole… is there anything finer? I am so making this next weekend! Thank you my dear, we love our comfort food. Veggie Sausages for the Viking. oh lovely, looks gorgeous. I must remember to enter this linky! Thanks Ali, it would be lovely to have you join us. We have a beans and sausages casserole family recipe and it is always in high demand during the autumn month. For some reason we call it Coussisson. Now that the blog is back up and running I’m trying hard to get involved with challenges again. Inheritance Recipes is a great challenge so I will be back. Thanks Karen, yes winter is definitely on it’s way. Beautiful, that reminds me of Hungarian stew we used get in tins during state of war in Poland. I haven’t had this ever since but it was one of the most comforting foods ever. 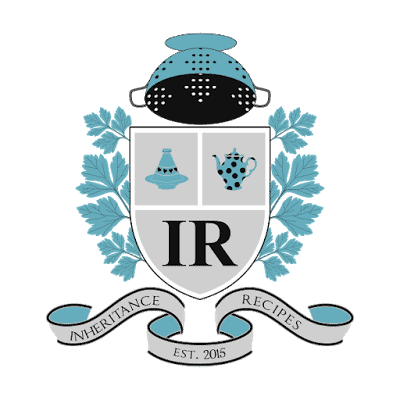 Thank you for entering this to our Inheritance Recipes challenge.